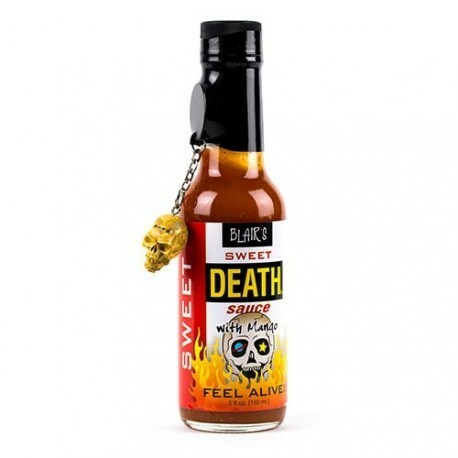 A hot sauce so succulent, it should be slathered on everything edible. 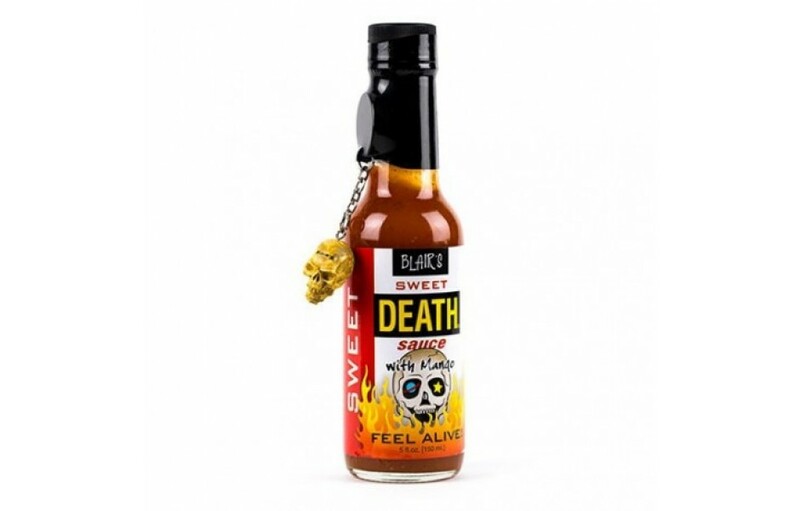 Feel Alive with Blair's Sweet Death, and savor the sweet heat of habanero, mango, and passion fruit. No chicken should be without it!! And don't stop with dinner, do dessert with Death too. Pour it over ice cream for an icy hot palate pleaser, and enjoy your tongue's trip to paradise.